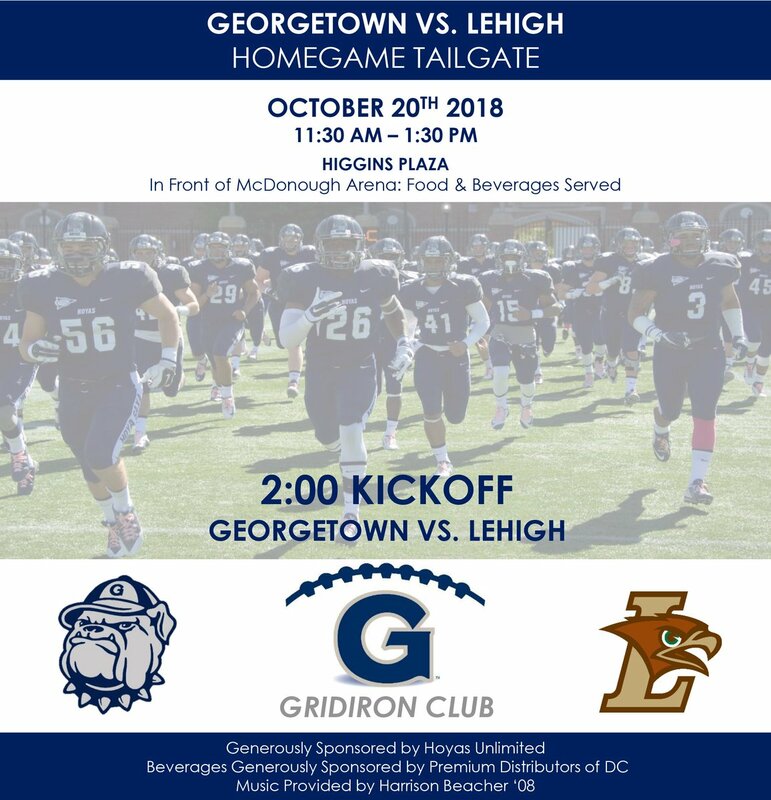 It's put up or shut up weekend in DC this weekend as the 1-5 (1-0) Mountain Hawks take on the 3-4 (2-0) Georgetown Hoyas at 2:00 PM at Cooper Field in Georgetown, DC. And the Hoyas need a win to stay in contention for the Patriot League title - a win over Lehigh would not only be their first against the Mountain Hawks since joining the Patriot League, it would also put the Hoyas in a tie atop the Patriot League with a 3-0 league record. If you can't make it to the game, the game is streaming on two different sites - the Patriot League Network, and it will also be streaming via Stadium Live on Facebook, which you can find here. Jeremy Huber, Emory Hunt, and former Fordham QB Mike Nebrich are doing the call. Currently the weather forecast is calling for a warm, but overcast day in our nation's capital, with a high of 65 degrees. It should be a good temperature for watching football. Due north of the Pentagon and somewhat northwest of the Lincoln Memorial, let's just say getting to Georgetown isn't easy. From points North, you have to take I-95 S and take it through Delaware and around Baltimore, finally merging onto the Beltway (495-W) headed towards Silver Spring. From there it can be a bear, waiting through Beltway traffic before exiting at MD-185-S at Chevy Chase. From there it's probably best to plug in the GPS coordinates to navigate through the DC roads that get you to the vicinity of Cooper Field. 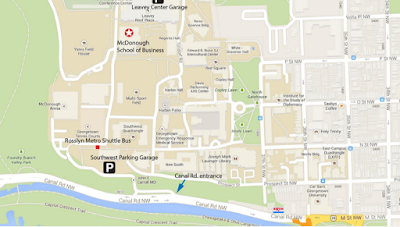 Spectator parking is available in the Southwest Parking Garage (accessible via Georgetown University’s Canal Road entrance). Parking at the tailgate sites is prohibited; vehicles found in violation will be subject to tickets, fines and/or towing. If you come from the north from MD-185-S, you'll drive past Cooper Field on West Road and continue down that winding road. The parking garage will be on your left. 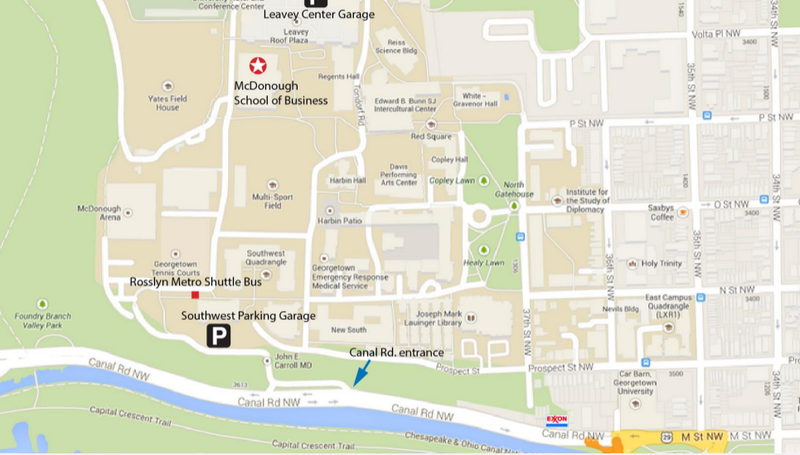 I'm not sure if there is parking available at Leavey Center Garage but that also is an alternative. It seems like they are equdistant from that field. 11:30AM-1:30 PM, right next to the stadium. I looked into what it was about and didn't find much, but there will be food and beverages available and there will be live music. There's something neat about a tailgate in the middle of campus. It is also Family Weekend on Georgetown's campus, so that should make for a very fun atmosphere all over campus, but it also means that tickets might not be as easy as you might think to procure for the game. Technicaly, the game is already sold out. You may want to check with the Georgetown ticket office or email them for information. They may open the game to more tickets, but you'll need to check. This week's travelling burger of the week comes from Wingo's (which is temporarily closed, scheduled to reopen in 2019). 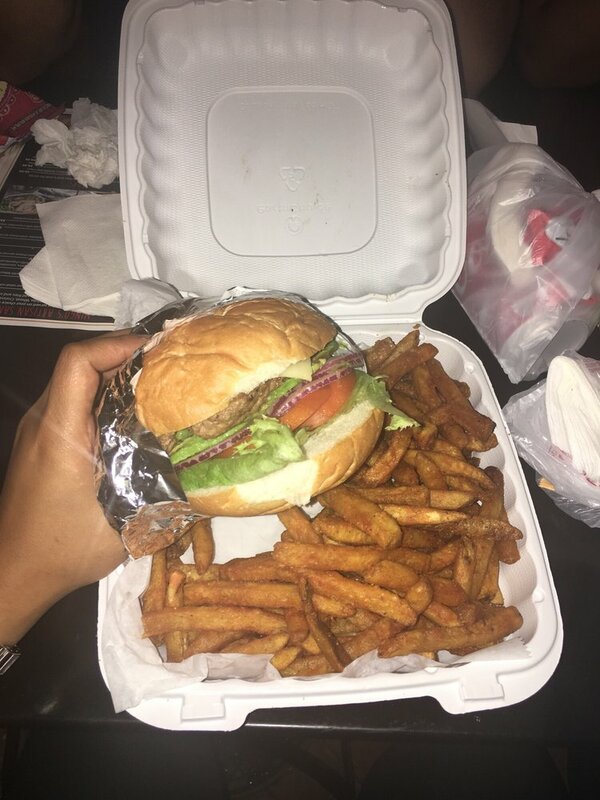 Unsurprisingly, it's called the Hoya Burger, which, of the Hoya Burgers currently available in the District, is far and beyond the best Hoya Burger that was on offer. Even though you can't get it from Wingo's this weekend, you can mimic the Wingo's Hoya Burger at your own tailgate. For this burger, it's all about the toppings. Prepare your burger the way you ordinarily would, but use the following toppings: pepper jack cheese, bacon, lettuce, tomato, onion, and a huge, heaping slab of fresh avocado. Finish this massive burger on a Kaiser roll - you'll need to to keep all the toppings on this delicious concoction. Are you having a great Lehigh football season so far? I'm not. I want a win. Like, this weekend. I'm picking a Drink of the Week that is something strong, in case we all need it after another Lehigh loss. One appropriate drink to have around just in case might be a Georgetown Cocktail, which, happily, is pretty easy to make. 2 parts rum, 1 part cherry liqeur (the official recipe calls for Maraschino liqueur, but I'm fine with Kirsch, which is also a cherry liqueur) and a dash of orange bitters (if you don't have that, some orange peels with pith as garnish will help give a tiny bitter note).